what do I wear when exercising – do I need a workout wardrobe? As with everything these days, we are bombarded with adverts for fitness clothing and footwear but to be perfectly honest, you don’t need to spend a lot of money getting kitted out for exercise. In fact, apart from a few essentials, I would say save your pennies to treat yourself once your body shape has adapted to exercise and good nutrition. So what do you need? A pair of good trainers, suitable pants and a top (preferably not cotton) and for ladies, a supportive bra. I suggest you look for breathable fabrics or those that ‘wick’ sweat away from the body. Layers are a good idea too. Marks and Spencer, Next, Tesco and Gap are amongst the high street stores with own brand fitness clothing. 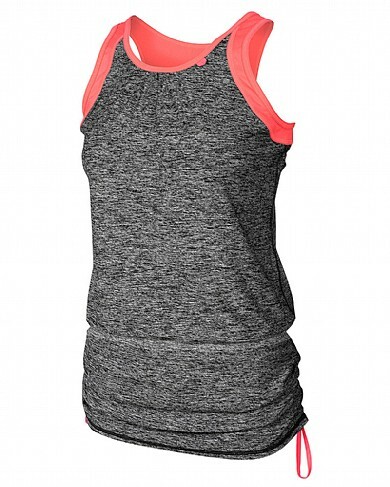 Marks and Spencer also carry a range of sports bras from crop tops to underwired. Trainers are not always cheap although it is worth shopping around. If you want to buy from the internet (generally the cheapest option), try trainers on elsewhere before you order as returns policies differ considerably. Make sure there is room for your toes in the box and, generally, go up a size from your normal shoes (I actually go up one and a half sizes) and wear socks. However, if you do want to splash the cash and look good whilst exercising, these are two of my favourite makes (both available in stores in Marlow).